Some of my work is now appearing in a charity anthology that has been produced by my writing group. The book, “Mermaids Tails” is a collection of pieces written by members of the group and we’re all quite proud of it. Its only available through Feedaread at the moment, but I’m hoping we’ll be able to get it bung on Amazon soon 🙂 All profit is going to a local Dyslexia charity. Please click the follow button on our poor little blog, we’ll be posting writing related articles and members work. And while I’m here…how are my fellow Wrimo’s doing? 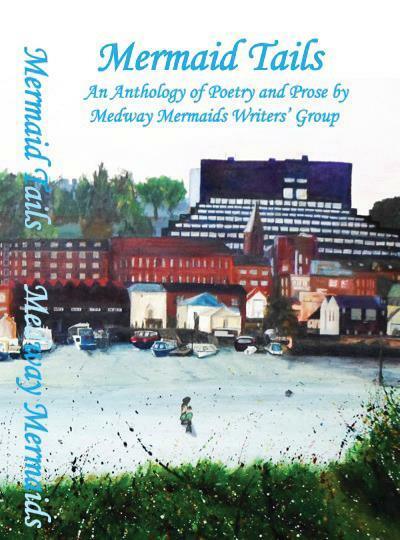 This entry was tagged Feedaread, Medway Mermaids, Medway Tails, Nano, Nanowrimo, National Novel Writing Month, Self Publishing, Twitter, Writer, Writer Resources, writers, Writers Resources, Writing, Writing Group. Bookmark the permalink. Congratulations Vikki. I have just followed through the links and downloaded the preview. I love your entry, poor old Barry! Then the Tena entry – brilliant! Why I have just received this email, I have no idea. Still, better late than never. And it is never too late to say congratulations, Vikki and The Medway Mermaids.